The way in which you play Classic Blackjack is of course every easy to understand, for all that you need to do is to first select a stake to play it for and then lay your chips onto the table and when you are good and ready simply click onto the deal button. You will then be dealt out two playing cards and the Dealer will deal himself an up facing playing card and you will then need to decide how to play off your hand based on the first card in the Dealers hand that you will be able to see at all times! The house edge of the Classic Blackjack game has been certified and this WGS game has also been independently tested and verified as being a completely random game too so you will always get a random and fair outcome when playing it. 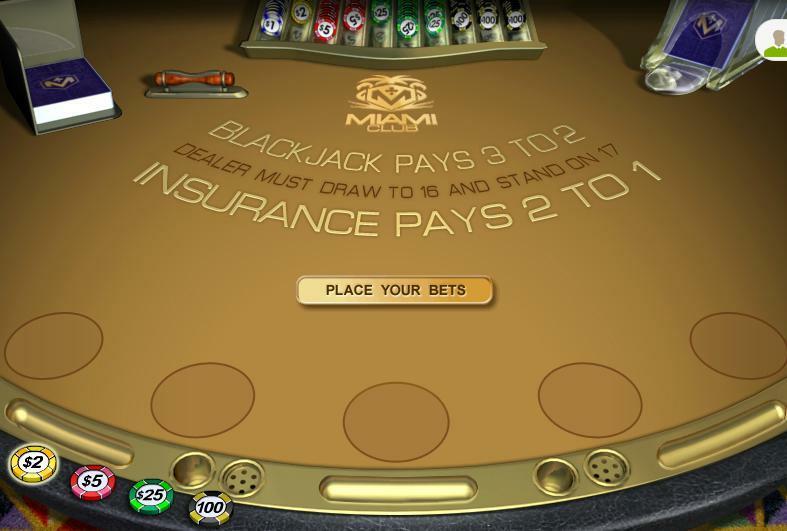 If you play the Classic Blackjack game there are going to be no bonus bets or any type of bonus games or bonus features that you can trigger, for this is a casino card game and as such it is the outcome of the game when your hand is compared to the dealers hand is the one that determines the outcome of each game played. You are however going to be offered an Insurance side bet when playing Classic Blackjack, and that is going to be offered to you if the Dealer has been dealt out an Ace as his up facing card, and therefore the is a chance that he will be dealt out a Blackjack hand. When playing the Classic Blackjack game and you are offered the insurance bet that bet will cost you half of the amount you wagered on the base hand if you want to take that side bet option, if the Dealer does then have a blackjack hand your side insurance bet will pay out at odds of 2 to 1. Classic Blackjack does have two base game winning payouts, all winning players Blackjack hands payout at odds of 3 to 2 and all other winning players hands pay out at odds of even money. If your hand and the Dealers match when playing the Classic Blackjack game then that game is a push and you will receive your stake money on each hand you placed a bet on that matched the Dealers hand back and that is known as a push. We think that if you are fairly new to playing blackjack one of the very best variants you should initially sit down to play is the Classic Blackjack game for it has been designed as a very easy variant to play and understand and there is no doubt in our mind you will soon get the hang of playing it online. Keep in mind that if you are unsure yet how to play this or any other Blackjack game variant optimally and with the very best strategy you can always spend as much time as you require learning to play it for free as all casino sites offer a free play demo mode version of the game to their players! Some casinos have only just started to offer Blackjack games to their players, however what you will always be best advised to do is to find a variant that is appealing to you, and the Classic Blackjack game thanks in no small part to its very simple to understand playing rules will always be a game worth checking out and then playing online!